NHL News : NHL Insider list the top 5 candidates to land Parin. NHL Insider list the top 5 candidates to land Parin. Surprising names make the list. All the talk around the National Hockey League right now has been focused on the Columbus Blue Jackets and what will happen with arguably the organizations two biggest stars prior to the trade deadline for the 2018 - 2019 NHL regular season. It is no longer a secret that neither star goaltender Sergei Bobrovsky nor star forward Artemi Panarin have any intention of signing a new deal in Columbus and with the Blue Jackets fighting to remain in playoff contention there is a widely held belief that both players will have found new homes by the time the deadline has come and gone. The question now of course is where will either of these stars end up? 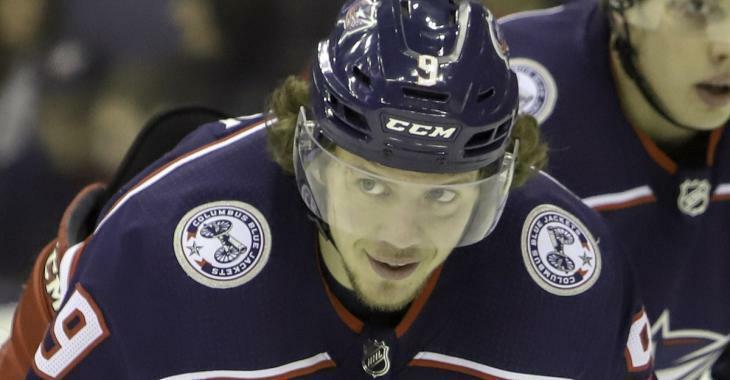 Well on Saturday NHL insider Craig Custance broke down what he believes to be the top five destinations at least as far as Artemi Panarin is concerned. It's no secret that the Predators want to add some offense ahead of the trade deadline and no piece will allow you to do that better than Artemi Panarin. Not only do the Predators have the need but Custance believes they also have the assets with a player like Eeli Tolvanen being the perfect building block for a package to acquire Panarin from the Blue Jackets. One of the more surprising candidates on Custance's list are the Toronto Maple Leafs. Maple Leafs general manager Kyle Dubas has indicated that he would not trade his first round pick or his top prospects for a rental but you have to wonder if he would stick to that if that rental was Panarin. Custance believes that the Leafs have the assets to make a deal with the Jackets, the question for me however is whether or not the Leafs would be willing to go all in this season. The Bruins like the Predators are believed to be looking to add some help on offense ahead of the trade deadline and Panarin is of course the biggest piece in play. According to Custance the package to get Panarin to Boston would have to include the Bruins’ 2019 first-round pick and a young player like Trent Frederic which is a huge asking price for general manager Don Sweeney to pay, but again if the Bruins feel this is their year you have to seriously consider the move. Custance correctly points out that the Calgary Flames have their first round pick in 2019 to put into play which gets them to the table, but they do not have the young assets that the three previous teams mentioned on this list have. For that reason I suspect the Flames would be a long shot but if they can put a package together that intrigues the Jackets there's no question they could add another skilled forward to give them an additional offensive threat in the playoffs. That being said I feel the Flames are the longest shot on Custance's list. This is one that makes a ton of sense from my perspective. The Islanders have been a pleasant surprise this season and with some rock solid goaltending from two goalies right now you can't blame then if they want to make a big push in the playoffs. Additionally all reports have suggested that Panarin would love to play in New York, although admittedly those reports have always been linked to the Rangers, and if the Islanders could make a deep playoff run with Panarin it could give them a head start on negotiations for a new deal.